Teenage Tactical Training is a site specific installation and performance piece on the high school campus of The Branson School. 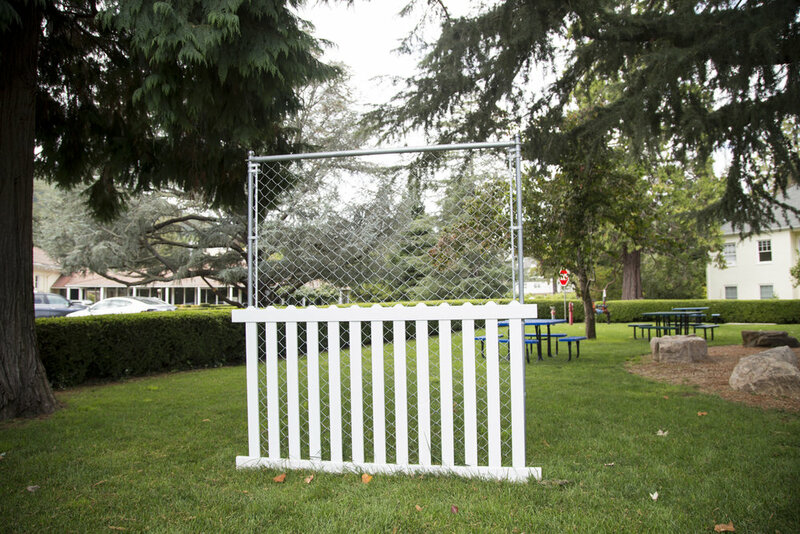 The sculpture is comprised of a freestanding section of chain link and white picket fencing, posing questions around the physical and psychological boundaries of urban and suburban spaces. 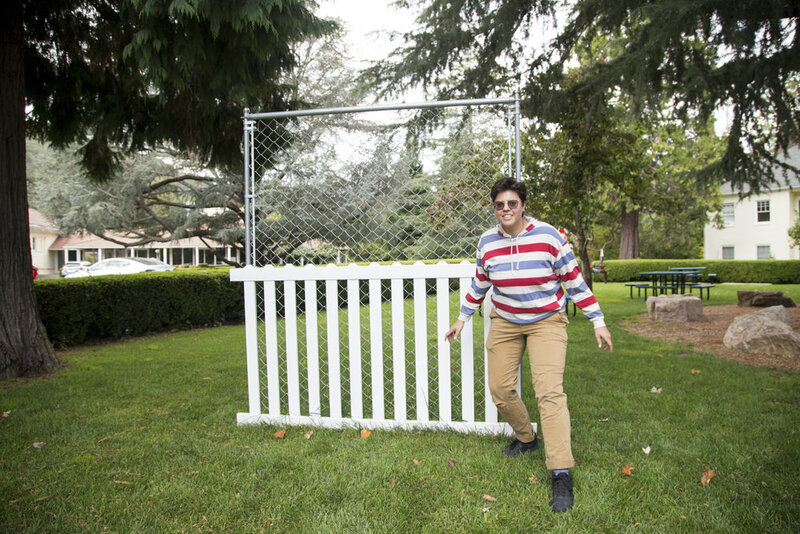 The installation is then activated by a performance enacted by me in which I run at, scale, and jump over the fence, continuing to run directly off of the campus itself. Drawing from punk teenage personas and the misguided but powerful resistance they foster, Teenage Tactical Training operates as a space for literal resistance training (physical, political, imaginative) in which audiences are negotiating their individual need to either respect or cross boundaries. A means of learning to escape.